Cheap travel season is happening. In addition to Tuesday's JetBlue flash sale and a flock of $69 flights to Europe, there are good deals that will take you in the opposite direction. 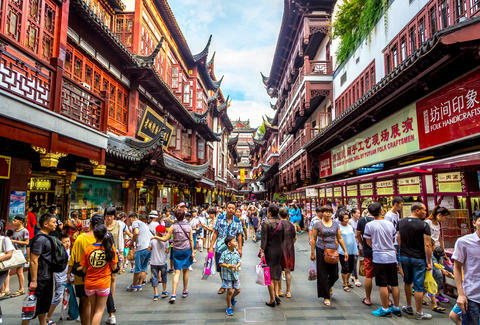 Delta has cheap trips to China out of a few cities available right now. The cheapest of these flights is hopping out of Seattle and headed to Beijing for just $478. But you're going to find more expensive tickets that are still a good deal departing from others cities as well. Tickets from Phoenix to Shanghai are available for $640 and Dallas to Shanghai for $690. Getting these rates is a little tricky, though, as The Flight Deal highlights. To get flights from any of those three locations you'll need to use the ITA Airfare Matrix Search. Once there click "Advanced routing codes." Then enter the city you're departing from (SEA = Seattle, PHX = Phoenix, DFW = Dallas). In the slot that says "Advanced routing codes" enter "dl" if you're leaving from Seattle, "aa+ /-overnight" if you're leaving from Phoenix, or "dtw,sea /-overnight" if you're flying out of Dallas. The destination code for Beijing is "PEK" and Shanghai is "PVG." The next slot is "Return advanced routing code," which needs the same code you placed in the first "advanced routing code" slot. The last thing you'll need to do is choose "See calendar of lowest fares" and enter "3-10" for the length of stay if you're headed out of Seattle or "9-16" for Phoenix or Dallas. Then you'll find a calendar like the one above that can help you get out of town because taking a vacation now is worth it. Don't wait until next year. Make it happen now. Though, if you want these prices, get on it soon. Prices change quickly and these could be gone soon.